These Horizontal Duct Cable Managers are designed for use with any standard size open frame racks, wall enclosures and floor enclosures. They have a single-sided finger-duct design with a removable cover lid, and are designed in a 2U height with cable capacity of up to 100 cables. These cable managers have a black microfinish to match Quest rack and enclosure color. 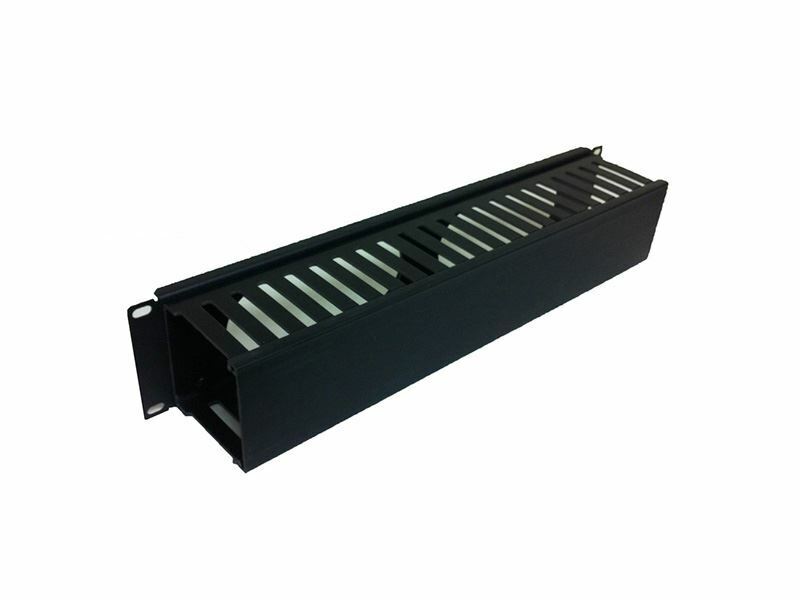 Rack Size Depth (Internal) 3.2"
Rack Size Width (Internal) 3.2"